Nicki Minaj recorded a song called Sorry and it was played once on the New York radio statio by hit DJ, Funk Master Flex, before Tracy Chapman's representatives got involved. The Fast Car hitmaker accused Minaj of including Chapman's Baby Can I Hold You, which is copyrighted in Minaj's song Sorry featuring Nas. This song inevitably did not make it to Nicki Minaj's new album, Queen. “The Infringing Work incorporates the lyrics and vocal melody of the Composition, its most recognisable and memorable parts,” the lawsuit says. “The Composition’s lyrics and vocal melody comprise approximately half of the Infringing Work, and are easily recognisable and identifiable as Chapman’s,” they added. Apparently, Minaj had already recorded the song before her representatives got in touch with Tracy Chapman's representatives, multiple times, for permission to use Baby Can I Hold You, Chapman's representatives said no. 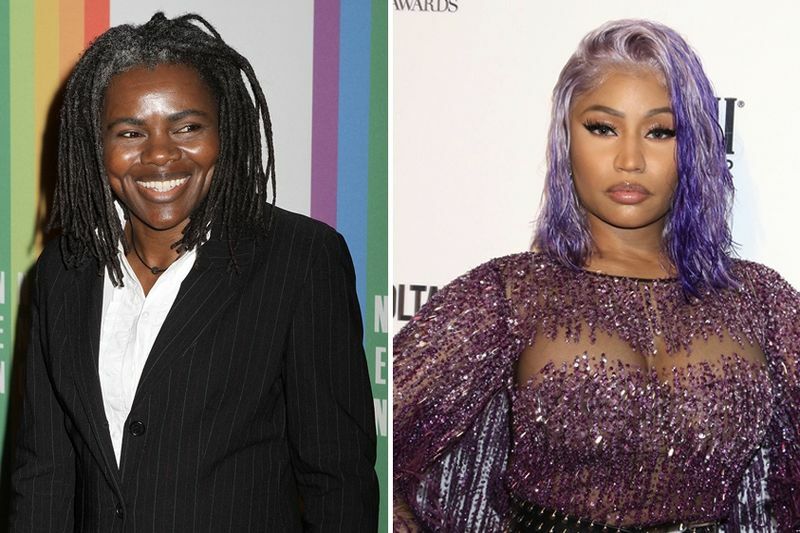 After the lawsuit was filed, Minaj wrote in a Twitter post that she "had no clue" that the song "sampled the legend #TracyChapman". Minaj has been sued for an undisclosed amount. The Album, Queen, is out now after a slight delay because of the decision to remove the copyrighted song. Video: Nicki Minaj Releases Her New Album, 'queen' With A Bang! Video: The Song That Will Change The Way You Look At Calendars For Life! Video: Australian Shepard Is Smart As Hell, Has An Evolutionary Moment While Competing For Food! Video: Star Wars Lip Reading Song 'bushes Of Love', Will Be Stuck In Your Head The Whole Day!